The impact of sexual violence and abuse ripples through families. Sadly, so much goes on behind closed doors. Witnessing sexual violence against a loved can lead to significant trauma for a child. 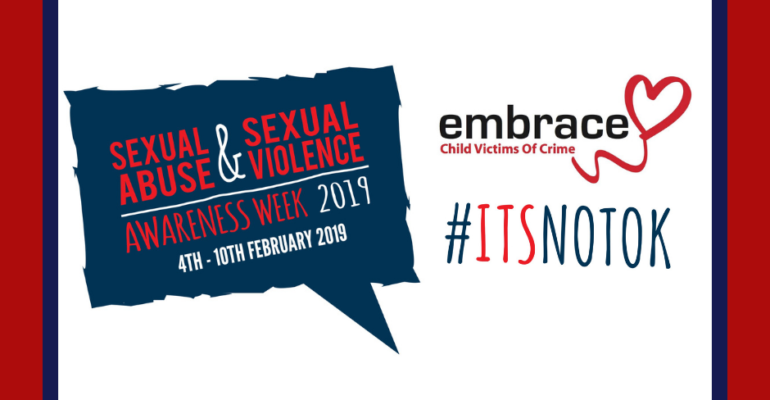 That’s why Embrace provides support for children who have experienced crime directly or indirectly, helping them to find ways to cope with their feelings and to regain control. Alisha, 12, saw her mother beaten and sexually abused by more than one person from a young age. When the abuse came to light and they were safe, Alisha and her siblings were worried about their mum. They didn’t discuss the abuse for fear of upsetting her. So they held in their own hurt and emotional pain, becoming increasingly watchful and hyper vigilant. The family was referred to Embrace by a domestic abuse support worker. With a family-focused approach, Embrace secured talking therapy for each child and was able to secure counselling for their mum. The children, each talking to their own separate therapist, have been able to let go of their anxiety and fear and start working through their trauma. Alisha’s mum, who started her counselling sessions feeling ‘pathetic and weak’, has learned to express her feelings and can now manage daily situations without feeling overwhelmed. She recognises her rights as a ‘human being’. The support received has helped the family move forward together. Dinner with the stars is a cosmic fundraising success!